Kim Kardashian and Kanye West reportedly feel a huge sense of relief that Bruce Jenner has confirmed his transition. Last month the former Olympian ended months of speculation when he confirmed he identifies as female in a TV interview. 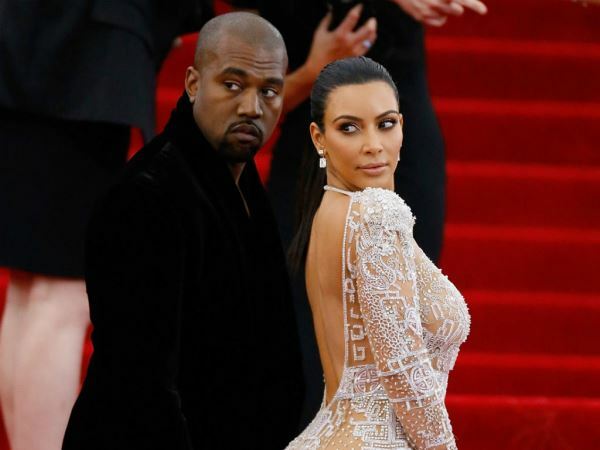 He spoke about how supportive his family have been, particularly his step-daughter Kim and her rapper husband Kanye. Apparently this has had a big impact on the couple's relationship. "Kanye's finished his album and he and Kim have been spending a lot more time together. And then there's the Bruce situation - six months ago, it was a secret. But now it's 'out', it's a huge relief. Bruce's revelations about how positively Kim and Kanye reacted to his news have done wonders for their image," an insider told British magazine Heat. The couple were once renowned for their high-maintenance lifestyle, with Kim rarely seen wearing the same thing twice and reports she needed a glam team to follow her around the world. But they have apparently calmed that down a little, now sometimes flying economy rather than taking private jets. On top of that Kim has been open about her struggle to conceive a sibling for their almost two-year-old daughter North, which has apparently touched Kanye. "Kanye really appreciates the effort she's going through trying to conceive their second baby. It's something no one ever thought they'd say a year ago, but Kim is good for him and vice versa," the insider added. How close the pair are was noticeable at the Met Gala in New York earlier this month. They looked relaxed and happy on the red carpet and seemed content to let each other have as much fun as possible. "I've seen Kanye wanting to watch over Kim - how she stood, what she said, who she spoke to - but this time, he let her get on with it, encouraging her to go and chat to JLo or Anna Wintour without him," another source said.